Why is USAV moving the 18s National Championships to late April/early May? Are you steamed that a prominent local club is recruiting players away from competing clubs? Do you want to know what national qualifier is best? Or the recommended brand of shoe to buy for your 12-year-old? Or why Germantown isn’t in the national high school rankings? Those questions can all be asked — and answered! 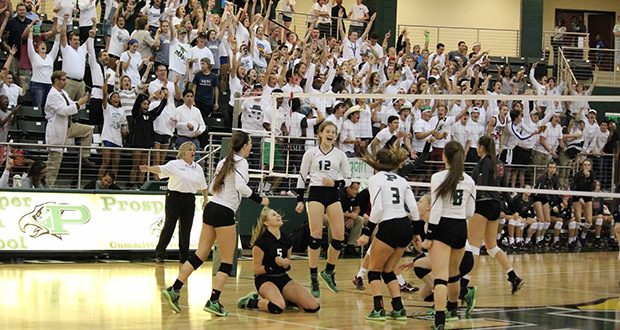 – on the new forums at PrepVolleyball.com, debuting next week. When PrepVolleyball.com started back in 2003, our amazing content wasn’t the only draw. Subscribers visited our message boards several times each day, to connect with others who shared their passion for volleyball, to learn more about the volleyball landscape nationwide and simply to be entertained. The “Danger of Hair Scrunchies” was exposed, posters counseled the coach whose extreme good looks were distracting his players and college coaches discussed job openings and possible candidates. The message boards also made us feel. The Andi Collins thread comforted the 16-year-old from Orange County during her battle with invasive breast cancer and brought us all a little closer together as we rooted for Andi to fight on every day to the last. Starting next week, PrepVolleyball.com will have new forums, but will aim to recapture everything that once made the old forums places to visit several times each day. Our writers, John Tawa and Chris Tobolski, will be on the boards daily with key updates or to introduce and contribute to interesting topic discussions. We have also introduced a points system that will award badges based on how active (or popular) you are in the new forums. We invite you to check it out, both by reading posts and contributing yourself. Current subscribers can use their existing username and password to access the forums. If you are not a current subscriber, you can still participate with a “Free Forums Membership” by signing up here: https://www.prepvolleyball.com/members/signup.